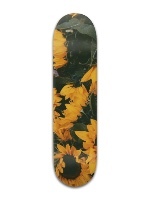 Use our website to design custom grip tape online! We make it easy and fun to design your own quality Jessup grip. 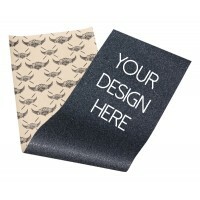 Custom grip tape allows you to get custom graphics on top of your board, not just on bottom. Traditional skateboards always had graphics on the bottom, but only recently have many brands been doing artwork on TOP of the board, too. There’s really two ways it’s done when you want full color with white. One, print on the black grip tape with white ink, which we do, or Two, print on the top of the board and lay clear grip tape over it to let the graphic show thru, which we also do! We’ve got you covered both ways, as a custom top print with clear grip or black grip tape with your full color print on it. Whether you’re hitting the skatepark, cruising the streets, or bombing hills, the truth is that most people see the top of your board MORE than the bottom as you skate! 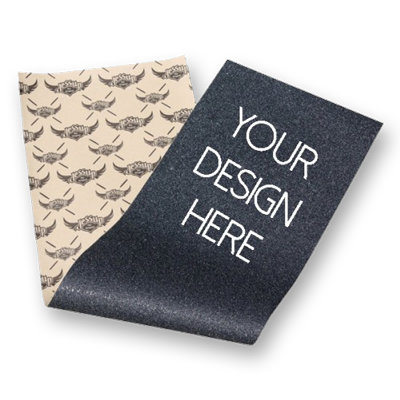 If you’ve got a logo, a brand, a crew, a name, or anything you just want people to see, grip tape is an awesome spot to customize with your own graphics. In video parts and photos it’s sure to show. Want a kickflip to really show your design? Put it on both sides of the board identical, then no matter which side is showing you know your graphics are visible. 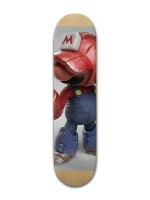 We have tons of skateboard and longboard sizes, but we only have 2 griptape sizes: Longboard and Skateboard.  Check the dimensions of the skateboard you plan to make the custom grip tape for, and check the size of our template (it says it in the name). When you design your graphics, remember that your board will not use the printed grip tape all the way to the edges, it will be placed on and the excess will be cut off. So design with that in mind, the grip tape is printed all the way to the edges, but your board (depending on it’s size) will be smaller. Use the size of your own board to know approximately how much of the outer area will be cut off when you install it! If you don’t know what size your board is, then keep your text or logo or any part that you don’t want cut off comfortably in the center. 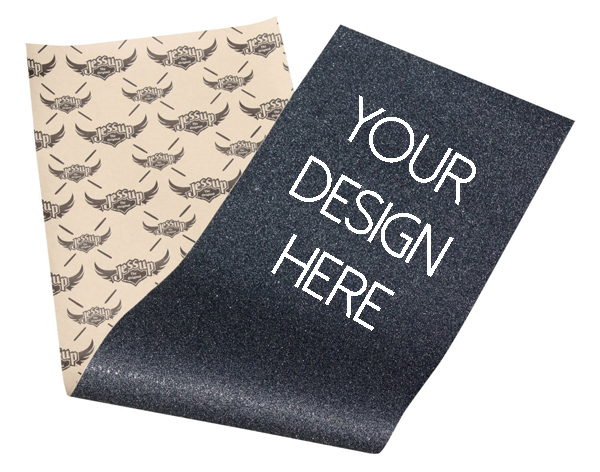 Ready to Create Your Custom Grip Tape?